Trust PA Spinal Repair is a UK Registered Charity set up in memory of Paul-André Blundell, who was known to everyone as P-A. P-A was born and brought up in Whitchurch Cardiff. He was always a dedicated and accomplished sportsman from an early age. 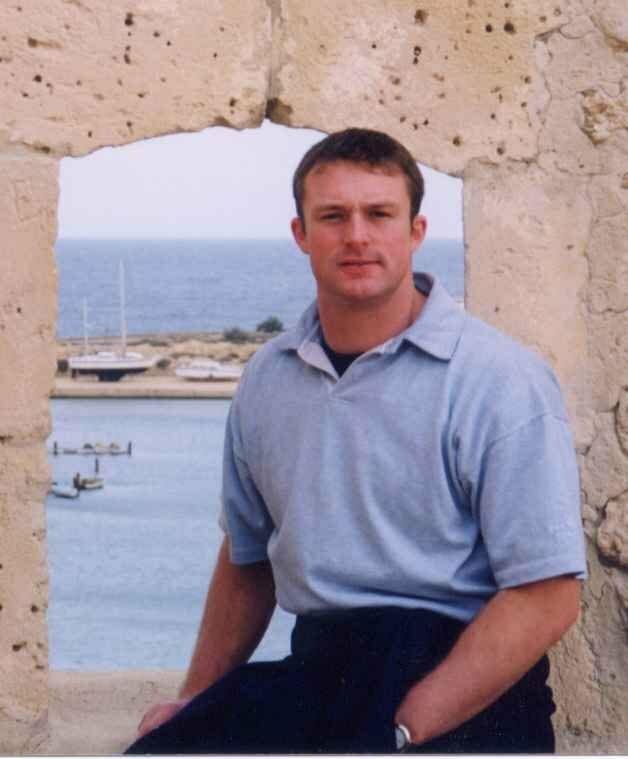 His first school was Ysgol Melin Gruffydd along with lifelong friend Matthew Rhys and also Ioan Gruffudd, then progressed to Llandaff Cathedral School where he captained the Colts Rugby Team and showed an aptitude for sport in general. He followed his brother Stephen to Old Swinford Hospital Stourbridge, warmly known as OSH by fellow pupils. Interested in the diversity of available sporting activity he soon excelled at many sports including athletics, rugby, running and golf and followed his grandfather's prowess (mentor) by winning Victor Ludorum a number of times. He travelled to Australia, Canada and the Far East representing his school team in both rugby and cricket. He captained his school rugby side plus county and regional rugby squads also winning a summer School of Excellence at Twickenham the home of English Rugby Union - RFU. At the age of 17 was also a member of the Welsh Youth U19`s squad, plus East Wales rugby squads. While at UWIC - University of Wales College Cardiff he again won recognition including winning The Most Promising Newcomer Trophy for Boxing. Due to a shoulder injury he started playing touch rugby winning a place to play as a member of the winning British Champions Touch Rugby side. After graduating in Cardiff, he moved to Bath and became a very successful and respected Community Specialist with Pharmacia (now Pfizer). 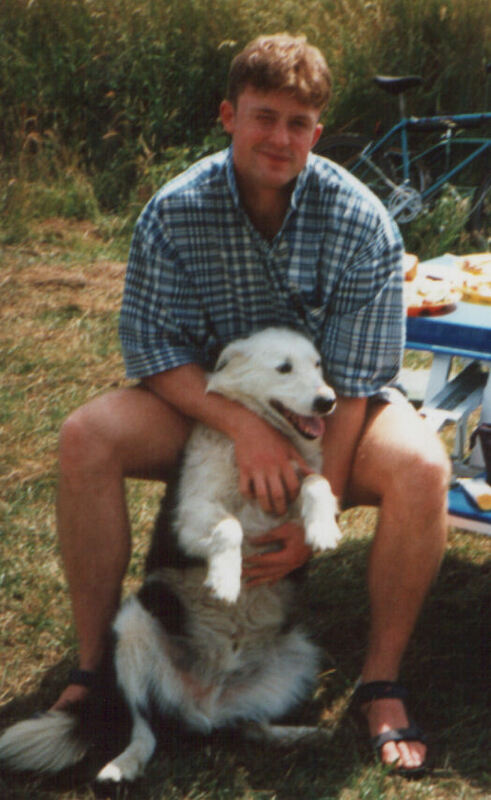 He met and befriended Dr Alastair Kerr though his work as a pain control specialist. Alastair introduced P-A to Keynsham RFC where P-A became a valued centre for the first team and as a very popular active member of the club. He took great delight in coaching the younger players and was known to regularly inspire and motivate his team mates through their personal training and workouts. After purchasing his first sports car, through a chance meeting with a friend Julian Rainbow who introduced him to motor sport. He initially joined Bristol Car Club and later joined the 750 Motor Club which enthused him to learn as much as he could in the shortest time possible - a typical of P-A trait. 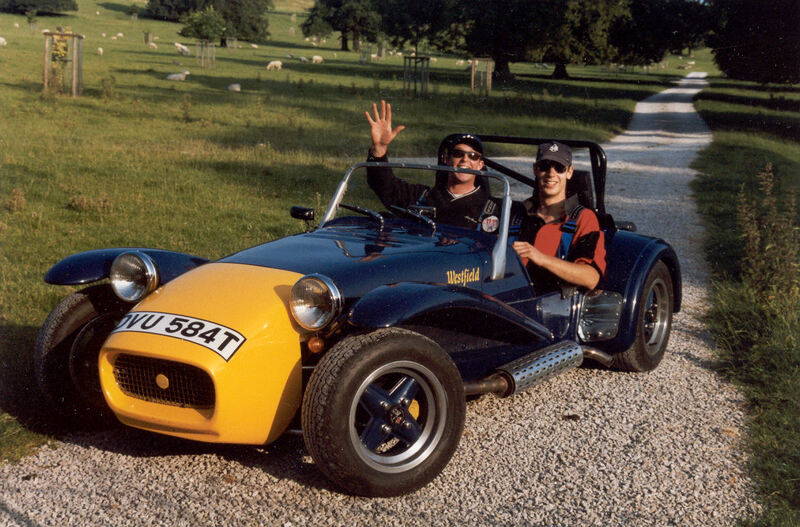 He started with sprints and hill-climbs then progressed to race on many of the major UK race tracks in his modified Westfield sports/racing car. In Sept 2001 Paul-André sustained a serious neck injury during a rugby tackle, leaving him totally paralysed from the chin down and only able to breathe using a ventilator. Tragically after making good progress in the spinal rehab unit, five and a half months later he died suddenly and unexpectedly from a blood clot, (pulmonary embolism) aged just 26yrs. This is unusual as people do not normally die from a spinal cord injury today so P-A was very unlucky to endure serious failings related to his care management. Always a charismatic and up-beat individual, after the accident, P-A’s bravery and positive attitude were an inspiration to us all. He had accepted the challenge to progress positively and make the best of his life and new totally paralysed circumstances. Learning about the current scientific progress inspired him to want to be involved in future Clinical Trials to repair paralysis. His motivation was to tour the UK and lecture on spinal cord injury its implications and to share the latest scientific progress and clinical developments.The exciting progress of Professor Raisman and others, in developing ground breaking therapies to repair his condition, gave P-A life changing hope for the future. We now work in Paul-André's memory to help in making repair available to improve the lives of other spinal cord injured & paralysed men, women & children.. If you can help us, we would very much appreciate your support.